Sailing on the Adriatic with the family has never been more fun. 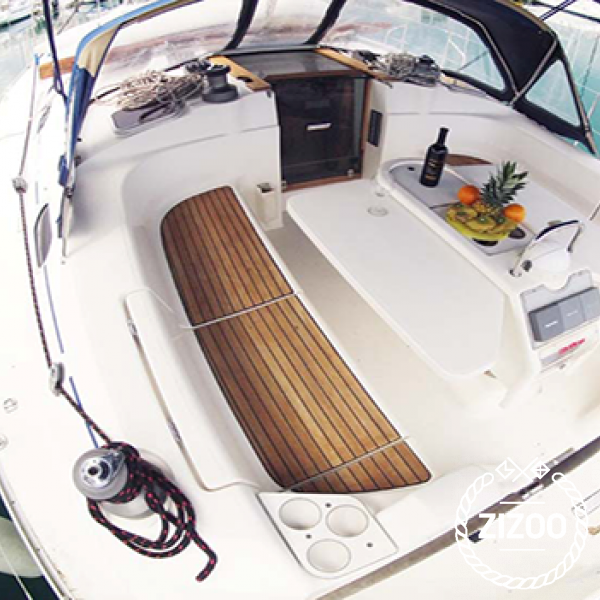 Take a ride on the Luna V, a 2003 Dufour Gib'Sea 43 based in Split. A great cruiser for friends and family, this sailboat comes with 3 cabins, a bunk bed and an extra double bed in the salon. Within its classic design is a well-equipped kitchen, a cosy salon and 2 bathrooms. Raise the sails and explore the Croatian coast the proper way. Visit the islands of Vis and Brac, explore the historic towns of Trogir and Sibenik, sip cocktails on Hvar or dine at some of the best seafood restaurants in the Kornati Archipelago. A safe and easy boat to sail, the Luna V will get you to wherever it is your wish to go. For hints, tips and sailing quips contact your crew, ready to accommodate all your needs.